Climate change can lead to a mismatch between resource availability and key life history events. Without plasticity in reproductive traits, that mismatch can lower fitness and decrease population size. 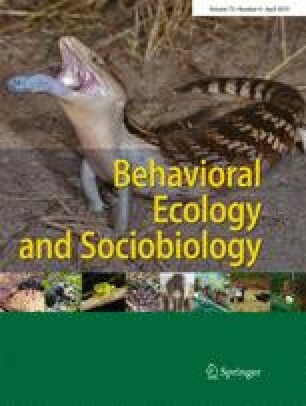 In birds, phenotypic plasticity is frequently reported as the main mechanism to track environmental changes, but evidence for plasticity in large mammals is scarce. Using long-term individual-based data, we quantified phenotypic plasticity in 394 parturition dates of 137 bighorn sheep ewes (average 2.9 per ewe, range 1–11 parturition dates) in response to environmental drivers. Over 26 years, we detected a population response to environmental drivers, as median parturition date advanced by 15 days. Our study area showed temporal trends in population density, precipitation in October–November and temperature in August–November. Increasing autumn precipitation was associated with later parturition. Increasing autumn temperature was associated with earlier parturition but the effect was weak. Analyses of the between- and within-individual components of weather, climate and density revealed an individual adjustment to autumn precipitation. We detected no plasticity in response to variation in temperature and density and no variation in plasticity (no I × E) in response to any determinants of parturition date. Our results suggest that the reproductive phenology of species with long and fixed gestation may respond more to environmental drivers in autumn than in spring. Many organisms time reproductive events based on seasonal availability of food resources. Climate change, however, can affect the timing of food availability. Organisms can change the timing of reproduction over the short term through phenotypic plasticity. Little is known, however, about how much individual plasticity in reproductive timing exists in wild mammals. We examined phenotypic plasticity in parturition date in bighorn sheep in response to changes in autumn precipitation, autumn temperature, a global climate index and adult female density. Temporal trends in these variables over 26 years partly explained a 15-day advance in average parturition date. Individual ewes only appeared to show plasticity in response to autumn precipitation, suggesting some capacity to cope with rapid global environmental changes over the short term. The online version of this article ( https://doi.org/10.1007/s00265-019-2656-1) contains supplementary material, which is available to authorized users. We are grateful to all people who helped during fieldwork including S. Guillemette, M.-A. Poirier, S. Tardif and N. Blais. We thank A. Hubbs, C. Feder and J.T. Jorgenson (Alberta Fish & Wildlife) for logistical help. We are especially grateful to A. Bourret and two anonymous reviewers for constructive comments on an earlier draft of the manuscript. L-AR was partly supported by a Doctoral Fellowship from the Université de Sherbrooke, EnviroNord and Hydro-Québec. This research was funded by the Natural Sciences and Engineering Research Council of Canada (NSERC Discovery Grants to MFB and FP and doctoral scholarship to GP), the Canada Research Chair program (FP) and the Alberta Conservation Association through research grants to L-AR, FP and MFB. Animals were captured and handled in compliance with the Canadian Council on Animal Care, under the approval of the Université de Sherbrooke Animal Care Committee (protocol number FP-2016-01 and MFB-2014-01—Université de Sherbrooke).